I have someone I’d like you to meet. It’s difficult, though, because you can’t talk to her. You can’t really touch her or smell her or get the full sense of who she was. 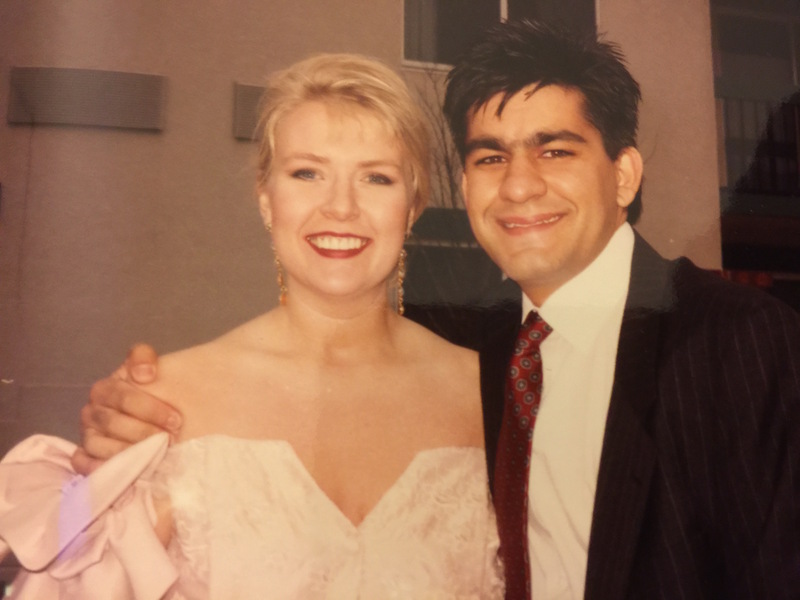 When I met Andrea I was nineteen, skinny, shy, reserved, nervous, angry, and nothing like the man I am today. Much of what I have become rests in the wonderful and beautiful arms of the woman you see there. What you see, though, is the surface. She was so much more than just the person who was there in Council Bluffs, Iowa. She seems reserved, a bit staid and youthful in her delivery. She’s got the late-1980’s hair and the shoulder pads. Still, she was gorgeous. There’s just no getting away from that. Andrea was not just the Entertainment reporter who became a daily news reporter and then anchor on the small cable television outlet. She saw me in a newsroom full of people and decided that I was someone she wanted to know better and on a night in the middle of all that we went out drinking, talking, and ended with the most warm and inviting hug I’d ever had. It took me forever to gather up the nerve to finally ask her out. When I finally did she looked relieved, like she’d been waiting forever for me to get off my duff and finally do it. What she didn’t realize was that I was scared to death that she’d never say ‘yes.’ I just took one look at her and thought she was out of my league. She was playful. When I would curse and use foul language over the headsets while she was on a studio camera she wouldn’t take direction until I apologized. It drove me nuts, she knew it, and she loved it. When I would refuse to dance or go to a party or leave a table she’d just take my hand and make me do it anyway. She loved her family. Even though there were times when she clashed, almost violently, with her father, she still sought his approval and affection. Let me describe her best I can. She was wistful, with a length of long blonde hair that she eventually cut short into the haircut up there. She wore her sunglasses on the top of her head leading our production manager to call her “Hollywood” for no other reason than she was from California. She we boisterous, silly, flirtatious and full of energy. She adored her sister. When we were officially ‘dating’ she could not wait until she was able to get me in a room with her sister so that we could meet. It wasn’t to be competitive she was in love and the first person she wanted to share that with was her sister. I wish we’d been more mature and knew better to enjoy our wedding day rather than simply experience it. Two days before our wedding it snowed, scaring the hell out of us. But then the 26th, our day, the sun came out and melted the snow along the sidewalk and cleared a path for us to walk the cobblestones to the church. She was, without a doubt, one of the most beautiful brides I’ve ever seen. I sang her a song and played music with my brother and she smooshed cake in my face even though she vowed not to do it. We might have married too young. We certainly had children too young. She panicked when she got pregnant with our first child, something she regretted. When that little person was in the world, though, you could never have seen someone who loved another human being more. She dressed her up, took her on walks and called her adorable names that were completely nonsensical. Andrea wanted to do something to help people and grew disillusioned with the media. That meant going back to school, something that was hard on everyone. Still, she graduated, worked, even succeeded as a pharmacist and she was liked by her colleagues and co-workers. 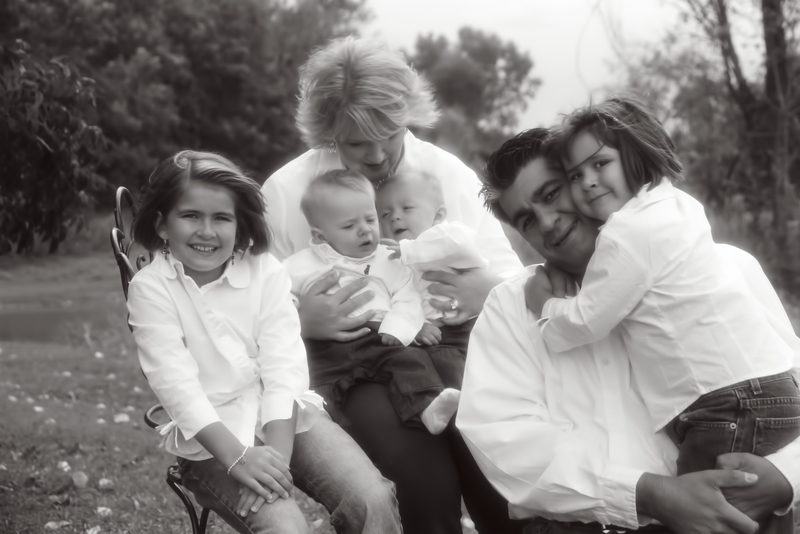 Ultimately, we had two girls and twin boys. They stressed us, strained us, wore us down, and we loved them for it. We were a pair, a duo, and even when others were angry that we banded together we did so for good or ill. There was a lot of ill, but a lot of good went along with it. Four years ago, today, she left us. It’s a short sentence, but it was a short and unexpected thing. She went in on a Tuesday morning. By Saturday, she was gone. It was our wedding anniversary. 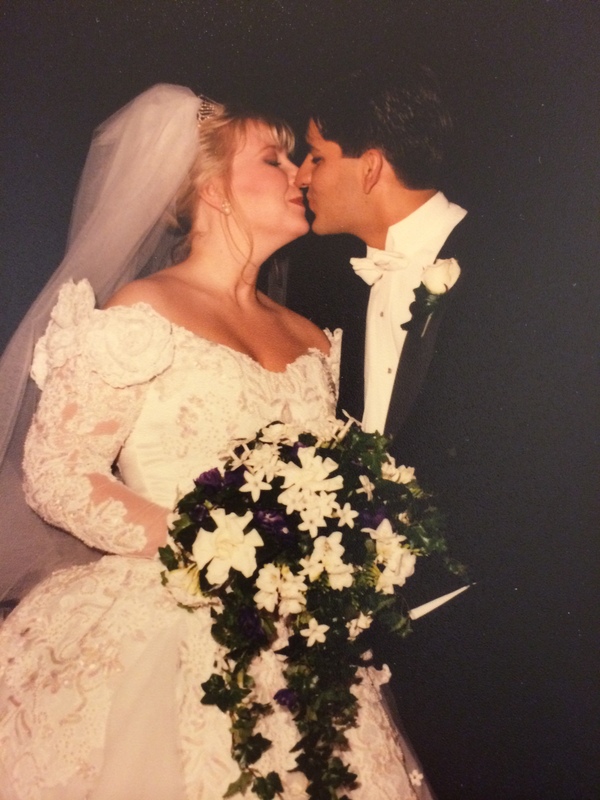 Today we would have been married 22 years. It was no small thing. It was fitting tribute for you, if you’ve gotten this far, to understand that she held on just that long…waiting until we had crossed the line to that day, letting go only after I got to the room to plead her to stay with me. Yes, four years later now, I am a different person. Her children are different people. Our lives continued while hers didn’t. She remains forever the same. Some of it not so great, all of it with flourish. It may be the hardest part of all that her story ended while ours began. Still, you should know that while I live on, her children graduate and go on dates and party and hug the people around them, eventually falling in love and influencing lives themselves . . . now at the same age Andrea was when she met that shy, unassuming, quiet boy from the Midwest . . . we don’t forget her. We couldn’t. She laid the foundation for what was to come. It’s up to us to live while building on it. Fly on, my sweet angel. I love the way you spread your wings.